In 2016, one Korean entrepreneur named Eric Ju Yoon Kim, stepped in the ring with the mission of empowering millions of visually impaired people. The CEO of DOT, a smartwatch that allows users to read anything in braille, needed to meet investors, make connections and expand his business. DOT was the Get in the Ring heavyweight winner in 2016 and managed to raise more than $6.3mln ever since. Now, his fellow countrymen, Albert Chu and Steven Jeon, dream of achieving the same global success. The founder of Pixel Display, Albert Chu, has an ambitious plan in mind: to be the next heavyweight winner. They joined the Global Startup Competition because they saw it as an opportunity to expand globally and present their technology to the world. They were one of the winners of the local competition in Korea, but that is not enough for them. “We want to become the second Korean representative to win the Global Meetup”, says Albert. Masplanet was also the winner in Korea and will join the Global Meetup. The founder, Steven Jeon, has very positive expectations for the upcoming event. He wants to find investment and meet new startups working in the agriculture industry to collaborate with. Steven sees in the Global Meetup the same opportunity Albert does, it is their chance to have a global company and expand overseas. “We want to make a world in which all eye diseases can be tested in the smartphone and enter areas with medical disparity”. This is what inspires Albert Chu. Pixel Display is an artificial intelligence eye examination solution using mobile photography. It can test up to six different eye refractive disorders in less than 10 seconds using a smartphone. Albert says that one of the problems with eye examination in children is that it is often hard to make small children cooperate during the exam. With his solution, he wishes to protect children’s eyes with early examination. The next step in the business is to expand overseas and he’s hopeful that the Global Meetup can help him do that. “When I saw the ad for the competition, I registered without any hesitation. I thought it was a good opportunity to present Pixel to the global world”, he says. Competing in the ring, for Albert, was an unforgettable experience. “The battle made me full of passion. I was really excited about it. I felt extreme happiness and a lot of responsibility as the Korean representative”. Steven’s father was a farmer for more than 40 years and motivated him to start his business. Masplanet is developing a way to grow crops in shipping containers. It is a crop management system that regulates the humidity and temperature inside the container. Steven explains that outside farming is very unstable and can suffer influence from many factors, like the weather, making indoor farming a much safer option. What also contributes to the success of this model is that, according to Steven, usual indoor farming facilities require a lot of setting up and are hard to dispose of. By using shipping containers, not only is it easy to set up, it can also be easily removed and resold. Masplanet is a very young company, they started in June this year. But they have big plans. They want to incorporate AI and robotics to the containers to reduce the cost. Steven hopes he can use his background as a mechanical engineer when the time comes to take the next steps. Steven described competing in the local competition in Korea as very challenging, he said he was shy at the beginning, but now that feels a lot more prepared for the Global Meetup. “There are different rules, first round, second round. It is very good because usually these pitching competitions are very boring, they say some problem, blah, blah, whatever and then gone. 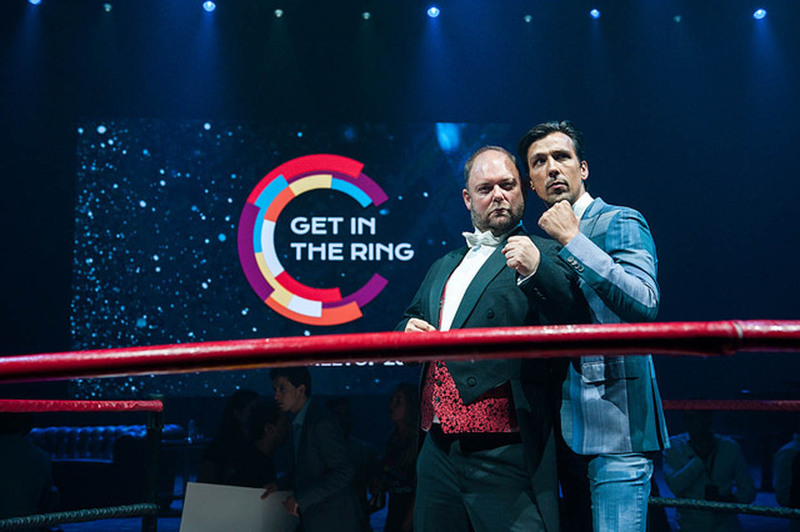 Get in the Ring is different, we interact, compare each team. It was very interesting for me”. Do you also want to be a part of the world’s most engaging startup competition? Is your startup looking to go global? Then join the Global Startup Competition for a chance to meet investors, make connections, network and get a ticket for our Global Meetup.